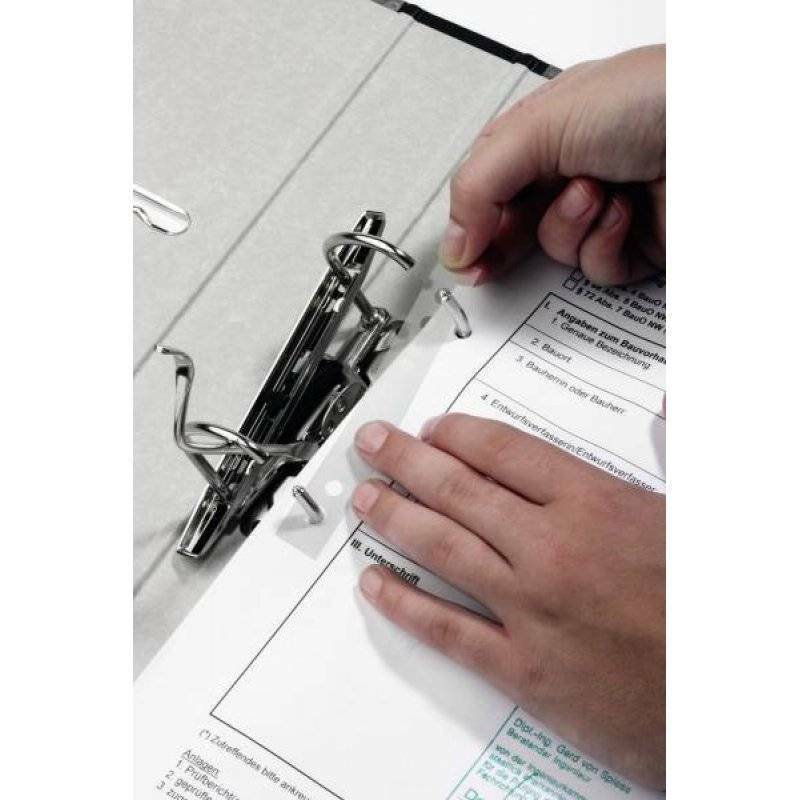 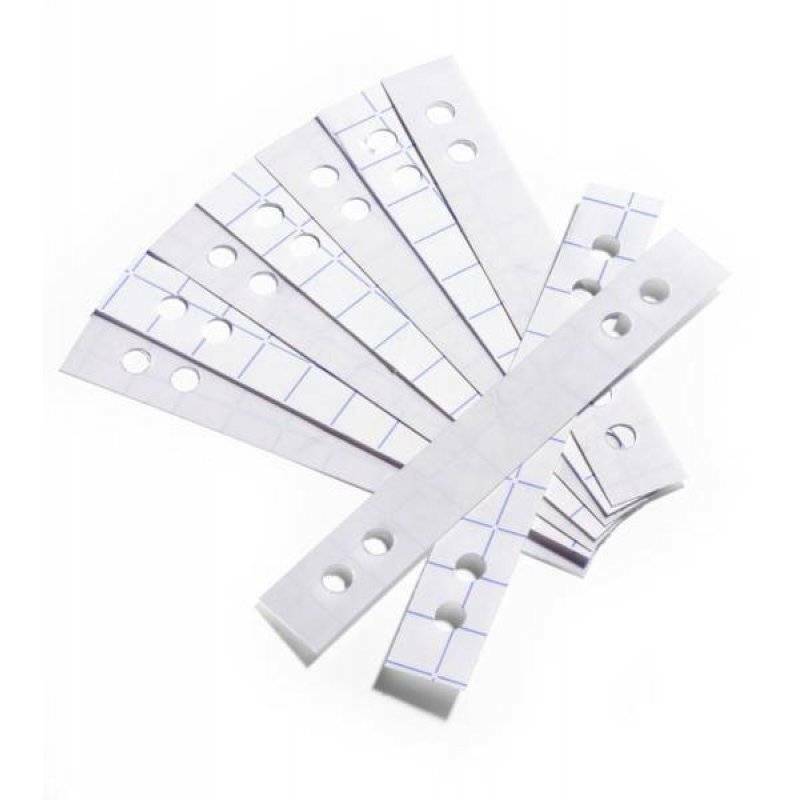 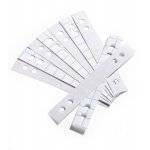 Self-adhesive reinforcement strips for the protection of punched holes in frequently used documents. Suitable for documents with standard space between punching: 60/80 mm. 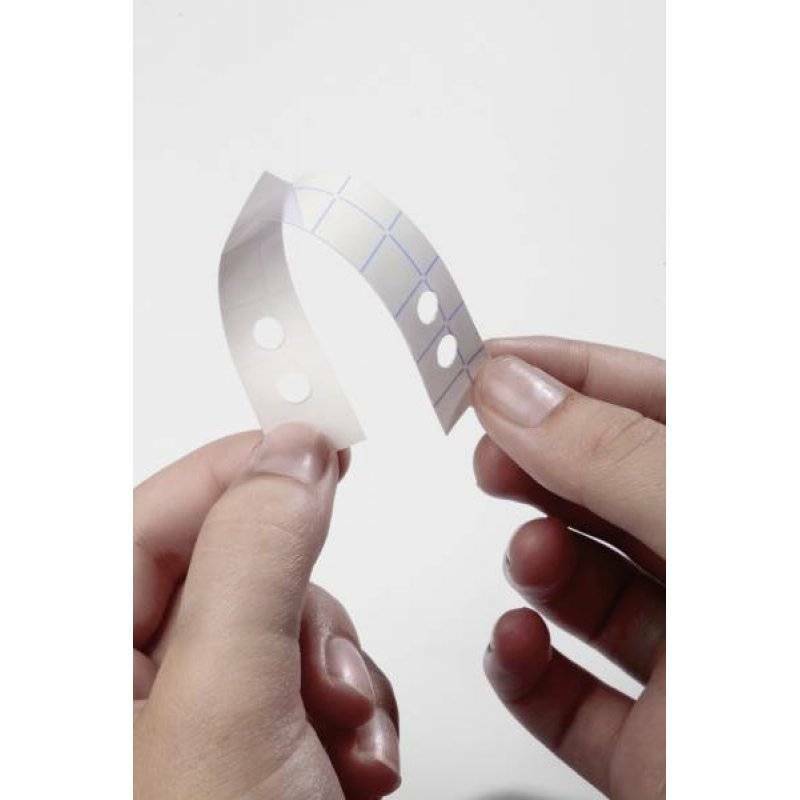 The diagonally-cut edge allows easy removal of the adhesive backing.